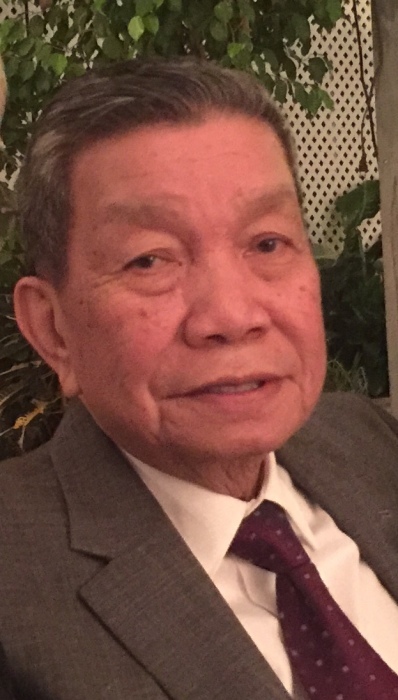 Cesar Principe Dizon, 79 of Metuchen, formerly of San Pablo City, Philippines, entered into eternal life on Sunday, April 15th. Born July 28, 1938 in San Pablo City to the late Col. Lauro Dizon and Nonita Principe. He is the former Mayor of San Pablo City, Philippines from 1968 - 1986 and served as Vice Mayor at age 24 before taking the office of Mayor. He was a member of the Free and Accepted Freemasons of the Philippines Malinaw Masonic Lodge No. 25 & Lions Club of San Pablo City, Philippines. He earned his law degree from Ateneo de Manila. He is survived by his children, siblings, grandchildren & great-grandchildren. Additional Funeral Services and Interment under the care of Zuasola Funeral Homes, San Pablo City, Philippines. Interment will take place San Pablo Memorial Park.